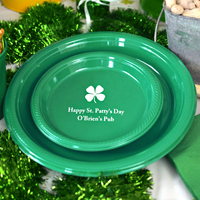 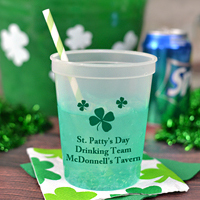 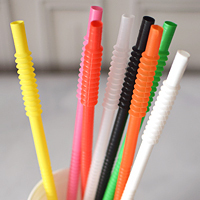 Make your St. Patrick's Day party one to remember with personalized green party supplies and decorations. 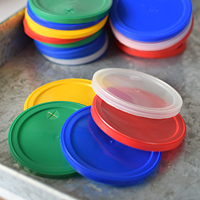 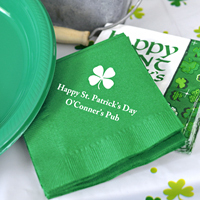 When setting up your food and drink table, personalized accessories like custom printed cups, napkins, and plates add the finishing touches to your party decor and create a conversation piece for guest's to talk about. 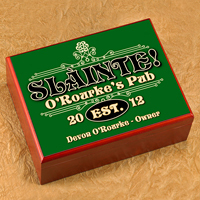 Headed to an Irish pub this St. Patrick's Day? 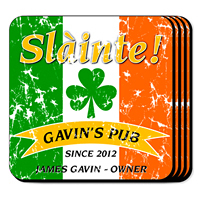 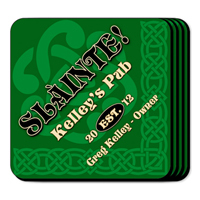 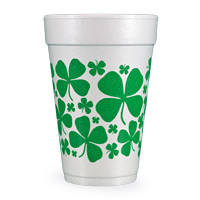 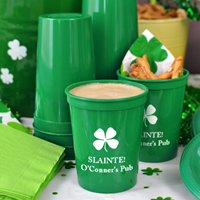 Custom printed cups and napkins are not only great for house parties but they look are a must-have addition to any Irish pub decor and interior. 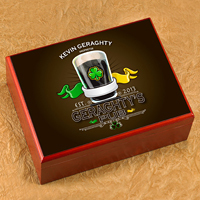 Looking for a gift for an Irish guru? 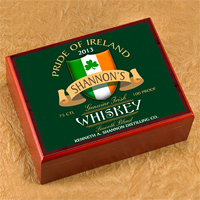 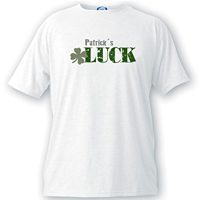 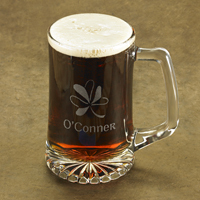 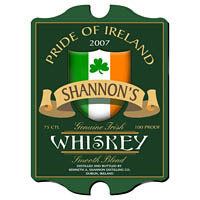 Give them a gift to remember with personalized St. Patrick's Day and Irish themed gifts. 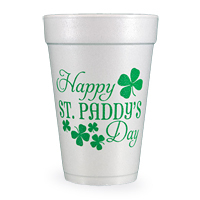 TippyToad offers custom printed St. Patrick's Day party supplies like cups, napkins, plates, shirts, cigar boxes, wall signs, and more.